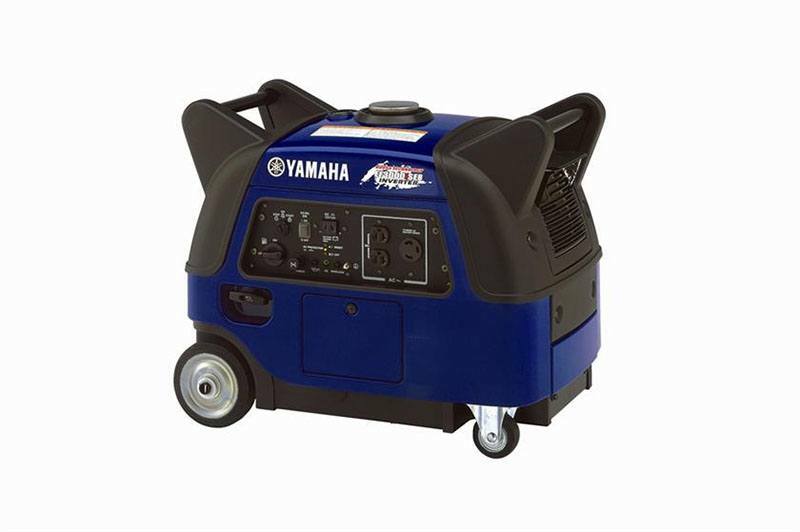 YAMAHA BOOST TECHNOLOGY® (YBT): Boosts output by adding battery voltage to alternator output when needed. The Boost Control Unit (BCU) senses when extra power is needed and boosts output for up to 10 seconds, giving air conditioners, power tools, and other equipment the extra boost of power they may need to start quickly and efficiently. NOISE BLOCK, ACOUSTICALLY DESIGNED SOUND REDUCTION SYSTEM: Sound absorbing material, used in key locations, does not resonate sound. Newly designed muffler and molded fan produce unbeatable noise reduction. 12 VOLT DC OUTPUT, BATTERY CHARGING CABLES INCLUDED: Recharge 12V batteries for RV, auto, marine, etc.